Our business specializes in fine decorative art objects from the 17th to the 20 century. We particularly concentrate on English and Continental porcelain, pottery and tin-glazed earthenwares such as Delft and Delftware. We also have a wide selection of antique textiles and especially sailors’ woolworks of ships. Our Asian objects include Chinese Export porcelain and objects such as Chinese watercolors on paper and pith paper. We exhibit at many important antique shows such as Philadelphia, Delaware and the New York Ceramics Fair. 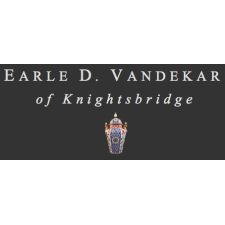 Our clients include collectors-big and small, museums and interior designers who each have developed confidence in the quality we handle and knowing that the firm of Earle D. Vandekar of Knightsbridge, Inc. is a fourth generation business.